This IC generates the different Clock used for DVD. Generates Clocks for CD use, sound use, and MPEG use. By ROHM Co. Ltd.
BU2185F Pinout will be updated soon..., now you can download the pdf datasheet to check the pinouts ! 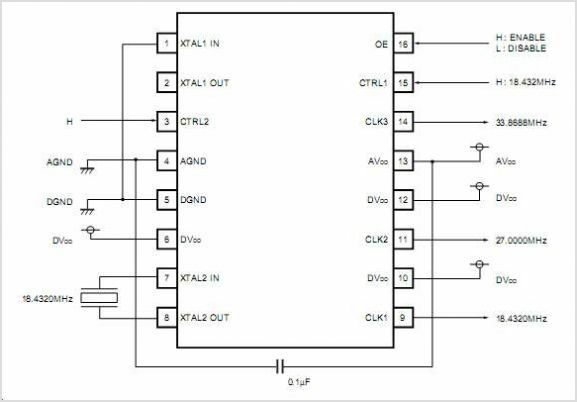 This is one application circuit of BU2185F,If you need more circuits,please download BU2185F's pdf datasheet.